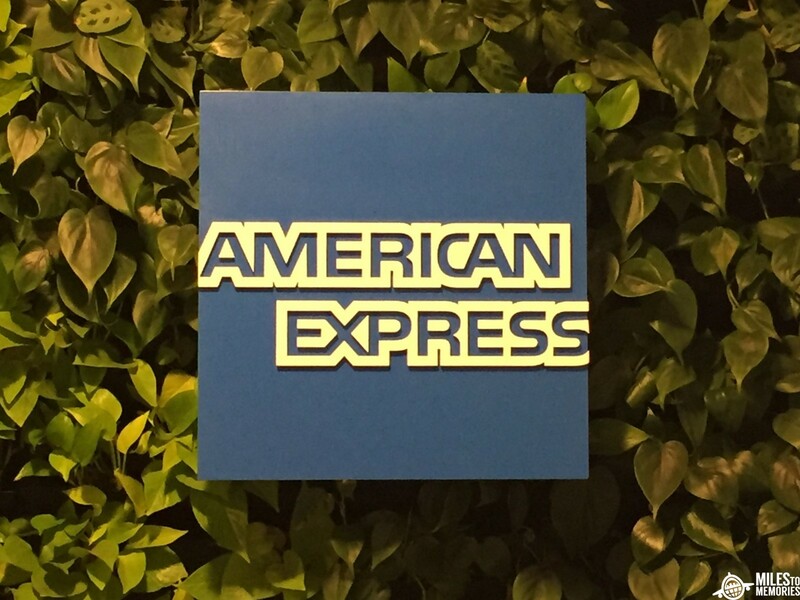 Banks American Express New American Express Hilton Cards’ Priority Pass Questions Answered! New American Express Hilton Cards’ Priority Pass Questions Answered! Unless you have been living under a rock you know that American Express released four new (or re-branded) Hilton credit cards. American Express released the new cards since they recently took over Hilton’s entire credit card portfolio, which used to be shared with Citibank. One of the more intriguing perks added to the Hilton Business card and the Hilton Ascend card (old Surpass card) is the Priority Pass membership. I had some questions about the Priority Pass membership since it is a little bit limited and it is different from most of the other Priority Pass memberships offered. It is a vast improvement over what American Express offered with the Surpass card. Click Here to compare these cards with other Hotel Rewards cards. This sounds great but there were a few questions that I, as well as some readers, still had about the membership. Do the 10 free visits cover guests? And is there a limit to how many guests you can take in each visit? I started out with American Express’ chat services on their website to see if they had an answer. They were not sure since the cards were new and told me to contact Priority Pass directly. The American Express chat representative did say they had already shipped out my membership (I had the Surpass card which was transitioned to the Ascend) without me even having to ask. I called Priority Pass but they informed me I had to wait until I had my card in hand to review the details. After receiving the card today I called them back and got the answers I was looking for. The 10 passes do cover guests. And as long as the lounge doesn’t have a guest policy (some limit it to one or two people) you can bring as many people in as you like. So if you are traveling with 6 people in your group you can guest them into the lounge for free and still have 4 free entries left over. He also had to mention that I shouldn’t have a problem as long as the lounge isn’t full. I have been hearing a lot of people complaining about getting turned away from airline owned and operated lounges because of this reason, even when they are not full. They tried to do it to our own PDX Deals Guy too! I think this is good news. A lot of the Priority Pass memberships limit free guests to 1 or 2 people. This allows you to bring in up to 10 people at one time for free. Great for families of 4 traveling together. I also think 10 is a pretty good number of free passes for cards with annual fees under $100. That should cover most people’s travel plans for a year unless you live in an airport with awesome PP Lounges like Portland. Previous article4 Reasons you Should Always Book Travel With Points! Next articleFrom Around the Web: 7 Course Meal at Disney, New Las Vegas Hotels, More JFK Lounge Additions & More!!! I received new AMEX cards cards for both my old Citi Reserve & no-fee accounts. AMEX, however, did NOT send me a new Ascend card to replace my old Surpass account. I called, & AMEX said I would not receive a new card, to keep using the card I have! Just wondering why they sent some out, though, based on your post! The PP cardholder has to be there to get the guests into the lounge. Same as the CSR. I still haven’t gotten my Ascend card yet but interesting that you have 2 now. You would think they would move one over to something else. I contacted AMEX about that a coupla weeks back, & they said they would be sending out offer letters to upgrade my Ascend (the one already w them as the former Surpass). So far…nada. Do the PP “passes” have the cardholder’s name written on them? Are they paper or electronic? You get the regular PP card and you first 10 visits are just free. You don’t actually get passes. My Priority Pass card has my name on it. (Well, okay, actually, it’s my spouse’s name, since it’s my spouse’s card. Details.) Also, I (meaning, my spouse) received an Ascend card the same day as the transition, and I (okay, my spouse) had a former Surpass. I wonder why some have and some have not received the Ascend card – you think they would have sent them out to all Surpass cardholders on day 1. It isn’t like they didn’t know it was coming. I got an entirely different answer from Amex chat 2 days ago! They said the 10 free passes were for the card holder only!! I’ll be trying it out on Saturday the 10th and I’ll see what happens. Did you try bringing in guests using your 10 free passes? Yes, I was able to get my husband and myself in using my card. 2 passes were used. My 2 kids were free, since they were under 12. So, just to be clear, if I have the Ascend card and if I bring my wife in as a guest every visit we will be capped at 5 free visits per card member year? I had old surpass card and think I tossed the PP pass with old card. I enrolled online for the PP pass with the new ascend card as soon as I could in Jan, but still haven’t received it. Thanks for posting that they’re sending them out. Just to add- if anyone kept the old one, would that now work for the 10 passes? I am not sure on that – I am assuming no since they are sending out new ones. You may wanna do a chat just to make sure they sent you out a new card already. I thought I hadn’t received it, so I chatted with an Amex rep and learned that it had been mailed on January 18. After a frustrating failed attempt to have the Amex rep figure out if the card in my wallet was the new one or the old one, I called Priority Pass. The Priority Pass rep confirmed that the card in my wallet had my current priority pass number and expiration date on it, which means it is the current card. While I had him on the phone, I had him confirm that each of my 10 free passes is good for 1 entry for 1 person, and that yes they may be used for a guest but each guest takes one pass in addition to the one you use. Thanks for the double confirmation Jenny – good to hear! Will Authorized Users Get Their Own Priority Pass Membership? Mark, do I get mailed a physical PP card? I’ve my Hilton biz card for about a month now and I haven’t received my PP card? Do I need to call PP or Amex for this? You should get a mailed called. I would chat with them online and see why you haven’t received it yet. Also, I’m assuming each pass can be used at a PP restaurant like Timberline Grill in Denver?, capped at $28 per pass? I just did my annual bonus upgrade from the no-fee Hilton to the, now, Ascend. It did come with a 75,000 point bonus, but didn’t see anything about the 10 free PP visits. Does anyone know if that comes with an upgrade or is that only for new apps to the Ascend? Thanks for any info! It is a perk of the card so you should get the PP within a few weeks after getting the new card. May want to call or chat if it has been a little bit though. I actually did register for the PP online through the card (I think you have to initiate it? ), but haven’t got my card yet. Hopefully it will come with some reference to the 10 free passes. If I find an upgrade doesn’t qualify for the passes, I’ll update. Thanks for the help! You should be good – it is a part of the annual fee – wasn’t a part of the sign up bonus or anything. When I first got my Hilton card, I found the Priority Pass registration in the Amex Offers section. You had to click there to get your initial Priority Pass sent to you. After a month of waiting I called the CS on the back of my Hilton Surpass card and asked for my PP number. Once you have the PP number you can call Priority pass and get your PIN. Download the PP app to your phone and log in using your PP number and PIN. That will give you a digital entry card that should work to allow you to enter most lounges. I also asked the Priority Pass rep to send me a physical card because mine never arrived in the mail. It’s supposed to arrive in about a week. I had old surpass card and I did an online chat and they called priority pass for me and said it would arrive within a week. I did finally get it about a month later. Call Priority Pass after successfully opening your Amex. They will ask for the last 4 digits of your amex card. Even if you don’t have your credit card yet just log into your account and you will see the last numbers on your account. They will use this to verify your information and will then give you your priority pass number and pin. As soon as I was approved for the amex I did this. I gained priority pass access a week before even my physical amex arrived in the mail. Super handy if you have a trip coming up and would like access asap. And like stated above, use that membership number and pin to access your priority pass account. You will have a digital card ready to use in the app! Regarding 10 visits per year, is that each calendar year or a year after you received your PP? I just got my PP in the mail today, August 2, 2018. Would it be between now and August 2, 2019? Thanks! I am not entirely sure but I would imagine it is based on your cardmember anniversary. No, I have this card. Per the text in their terms and conditions: With your Hilton Honors American Express Ascend Card you will receive 10 complimentary lounge visits every calendar year. May I ask another question please? The HH card that I have is a ‘forever’ Gold (I guess as long as I keep the card). Will this be true to new accounts? I am thinking to tell my son to get his own. The card comes with Hilton Honors gold status if that is what you mean. That has not changed with the Ascend card. Thanks for the insight Mark! If I understand correctly, the Priority Pass Pass from Hilton Ascend is better than those from Hilton Aspire or Amex Platinum for a family of 5 that only travel once a year. All 5 family members can be covered at no charge with the 10 free visits! Did I miss anything? This makes me not wanting to upgrade to Aspire as it does not make a lot of sense and I do not use Hilton resorts often to offset the annual fee. That is correct – the Ascend probably works better for people who travel less often or have larger groups. Just to be clear, if you have a family of 5 your Priority Pass coverage will amount to 2 visits per calendar year (5 x 2 = 10). As long as the lounge doesn’t limit guests (some do) that is the case. I am not sure if the 10 resets annually or on the Priority Pass memberships anniversary date though. You may want to contact them to clarify that. We’ve already established that it resets every calendar year. Assume I have both CSR and the Ascend. What happens if I’m trying to travel with a group of 6 people (including me). Can I get 3 of us in with the CSR, then ask the PP Lounge folks to swipe my Ascend-based PP for another 3 (well it might be 4 if they need me to be counted on the second swipe as well)? Or is it only 1 Priority Pass Card per cardholder to be used? I am pretty sure they would limit you to one card. You could use the Ascend one to get you in one lounge at least.